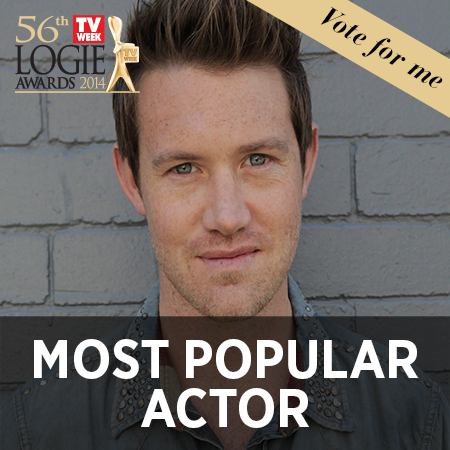 The first round of voting for the 2014 Logie Awards has officially kicked off. 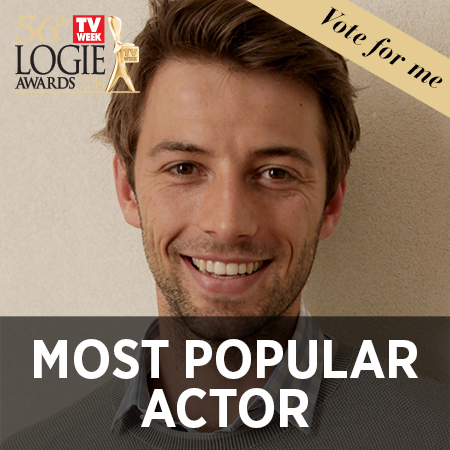 Aussie TV lovers can log onto the official TV Week Logies website to vote for their fave stars and shows to be nominated for the night. 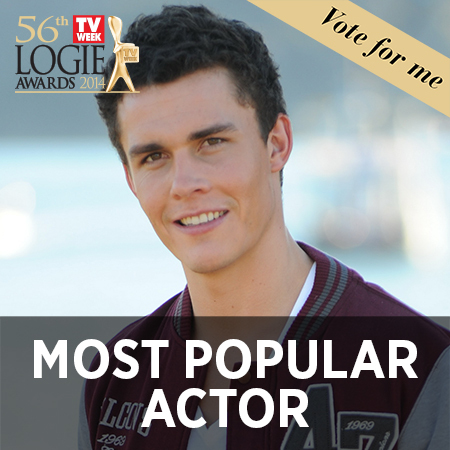 Now, Australian television is the best it has ever been and that makes voting this year a little bit harder. So many choices, only one vote! Four river boys, only one vote! 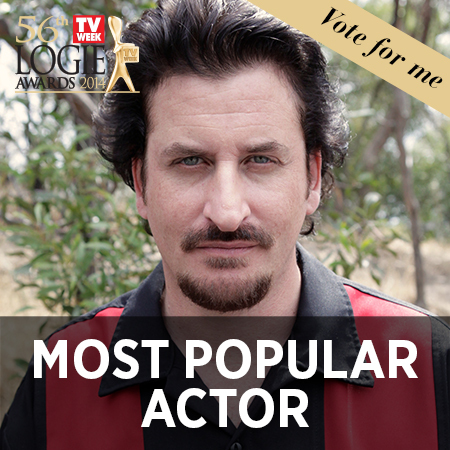 Four house husbands, only one vote! We’ve decided to put together some voting tips to make that process a little easier for you. 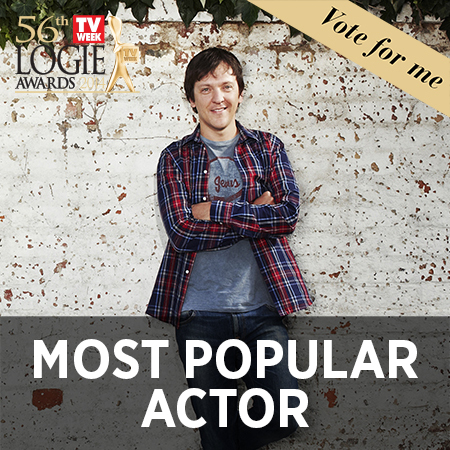 Today we’re kicking off Logies fever with Most Popular Actor potentials. Here are some of our faves. 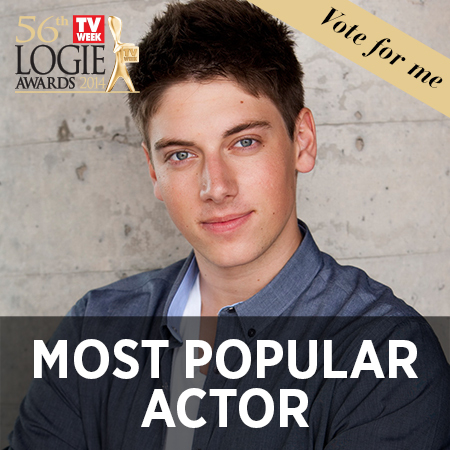 FYI: We’ve included the super cool voting promo pics created by the TV Week team. More on their Facebook page. 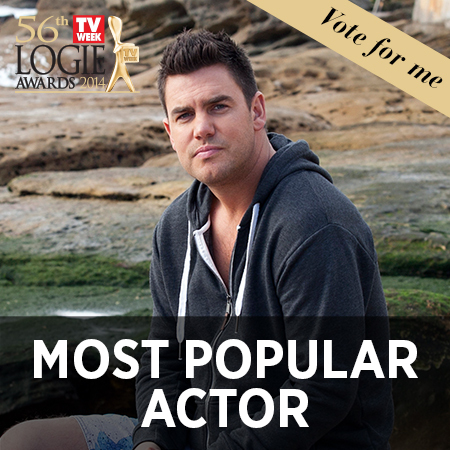 Ben Mingay, Wonderland – You’ve got to feel for Ben’s character Rob on Wonderland. It certainly beats us as to how any woman would cheat on the hunk. Charles Cottier, Home and Away – A geek cutie in Summer Bay.. this sounds like double the fun. Chris Lilley, Jamie: Private School Girl – Let’s be honest. Chris is so QUICHE right now. Like seriously! 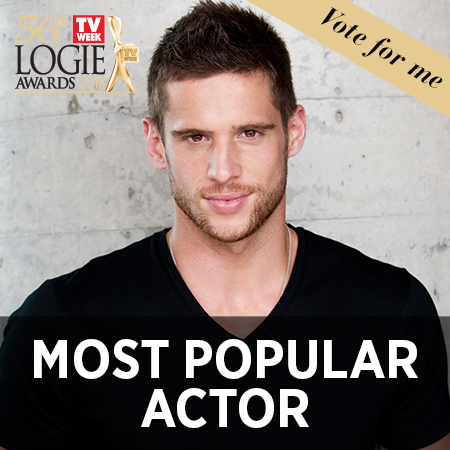 Dan Ewing, Home and Away – Everyone secretly loves a bad boy and you can’t get any rougher (and sexier) than a Home and Away River Boy. Eddie Perfect, Offspring – Being serenaded is every girl’s dream, and resident Offspring muso Mick is there to make that happen. 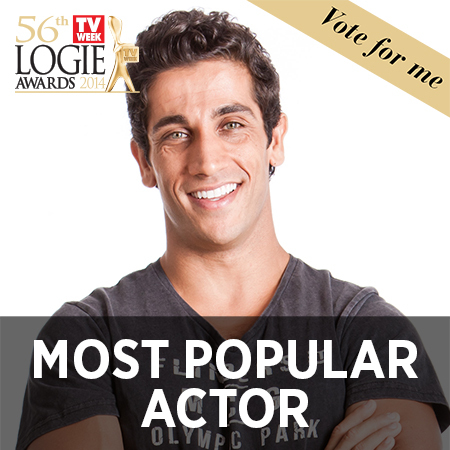 Firass Dirani, House Husbands – Mr Fizz.. you can be our house husband any day. That is all. Glenn McMillan, Wonderland – Is it just us or is a Brazilian accent undeniably one of the sexiest things on the planet. Glenn, you got us at hello. Drool! 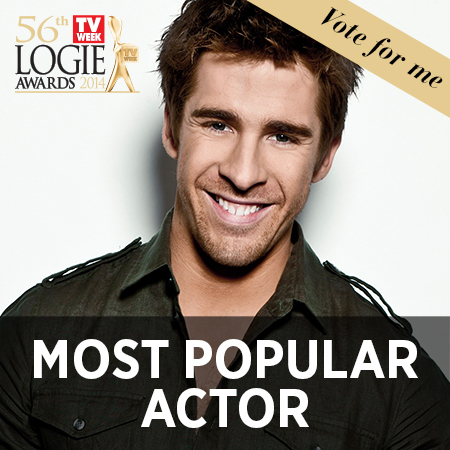 Hugh Sheridan, Packed To The Rafters – He’s the boy next door that we all want to marry and take home to our mum. Sighs. Ido Drent, Offspring – Ido is the one guy on Offspring that gave Dr Patrick a run for his money in the eye candy stakes. Lachy Hulme, Offspring, Power Games – Resident funny man of Offspring right here, and might we add, plays a rather convincing Mr Packer too. Lincoln Younes, Home and Away – He’s the River Boy we’d like to think we could tame. Lincoln plays the youngest and cutest of the Braxton pack, Casey. 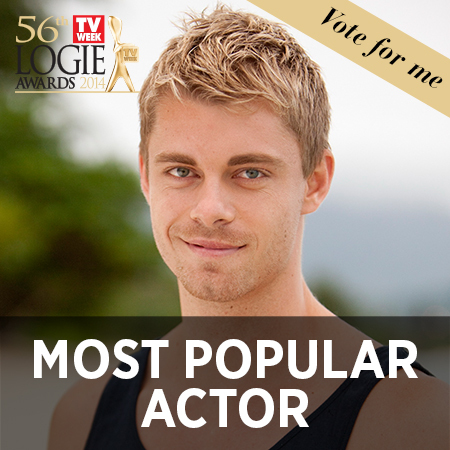 Luke Mitchell, Home and Away – Oh Romeo, Romeo. 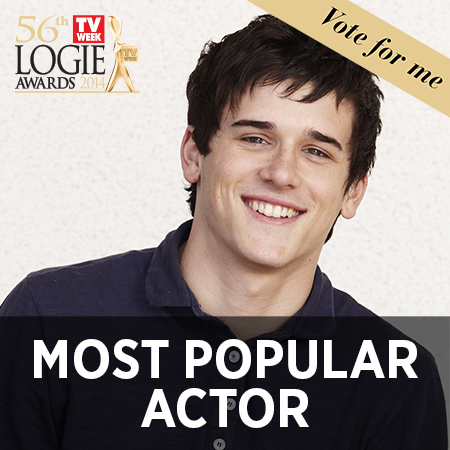 Come on, if you don’t vote for Luke’s character’s name you are crazy! But in all seriousness, his performance on H&A was a standout. Matthew Le Nevez, Offspring – Someone get the tissues please.. Dr Patrick Reid is gone! 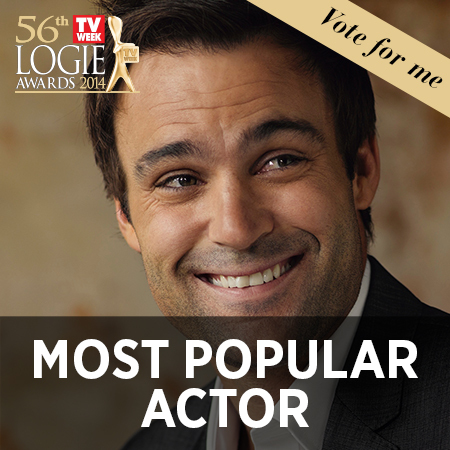 Let’s cast a vote Matt’s way to see him on our screens again. 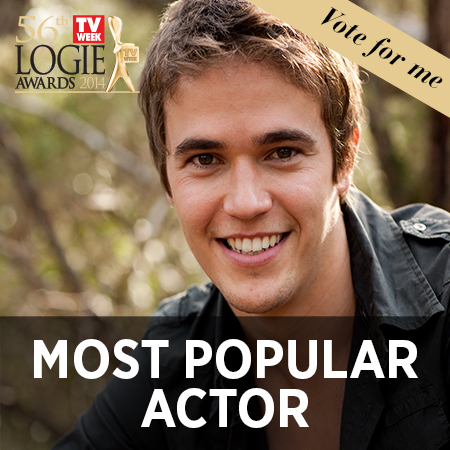 Nic Westaway, Home and Away – This River Boy was late to the party, but nonetheless still a hottie. And there’s more! 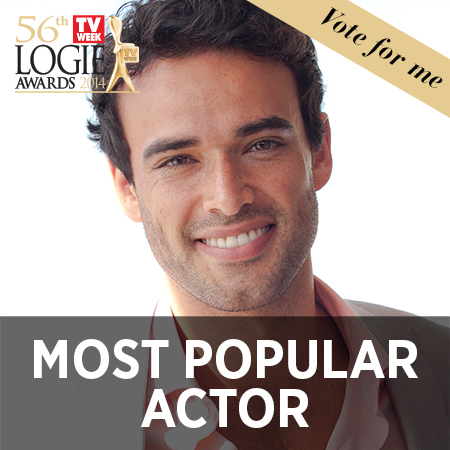 Check out the complete list of Aussie hotties that you can nominate for a 2014 Logie for Most Popular Actor HERE. 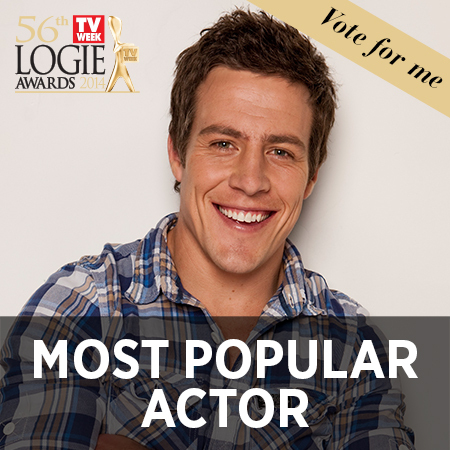 Get voting and let us know who you want to win a Logie by joining the conversation on our official Facebook page and Twitter.